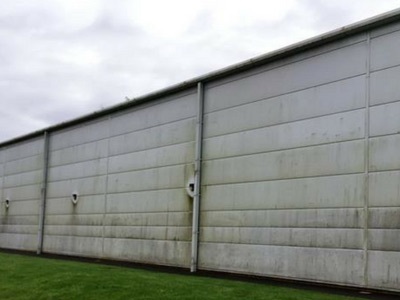 We have had a lot of experience in cleaning cladding over the last 15 years. 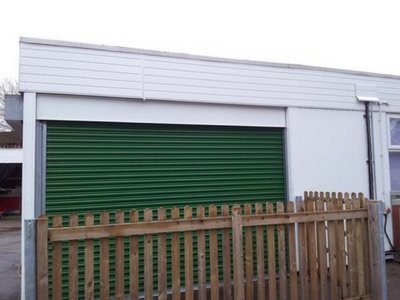 Whether you would like the PVC fascia cladding cleaned on your house, or you would like the front of a store cleaned we can provide our services to suit you. Where possible we can clean from the ground using our telescopic poles and lances. However this is not always possible if the cladding to too high. This is when we bring in the cherry pickers. We hold IPAF licenses and can transport a cherry picker to the site, or if needed have a larger one delivered. We clean shop fronts at night when there is no/little pedestrian traffic and no inconvenience to the store. 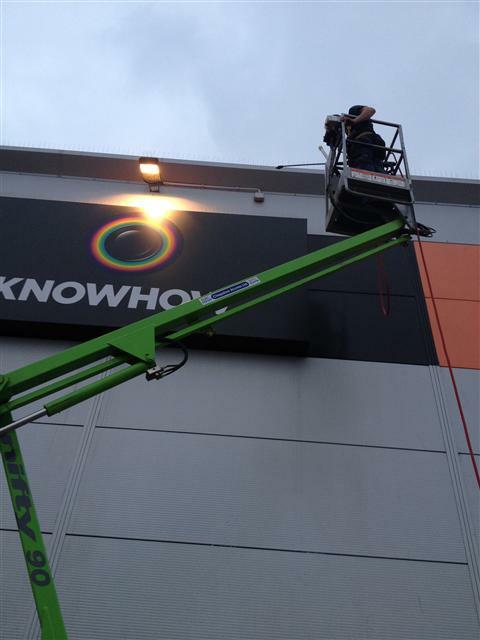 We carried out the cladding cleaning at the site below. Within a week we transformed this large site, making it look like new again. Not only did we remove the staining, we also killed the algae in the process. 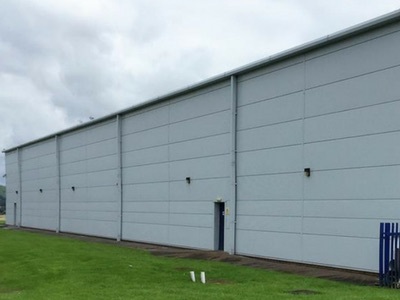 We offer commercial cladding cleaning acorss South Wales and the South West. We were asked to clean the cladding of the school shown below. We booked the clean in for the school holidays so there was no inconvenience to the school. We cleaned the whole school in a day. 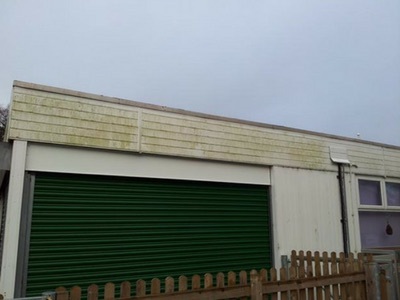 Using telescopic lances for our pressure washer and telescopic brushes we cleaned the uPVC cladding so that it looked as it did when it was installed.